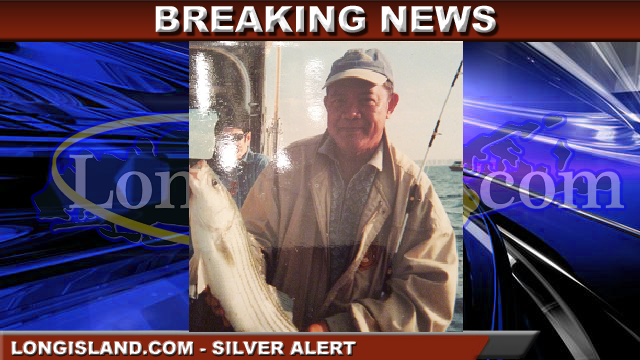 The Suffolk County Police Department has issued a Silver Alert for a missing elderly man from Centereach. Reynaldo Macadaeg, 77, of Centereach, was last seen on April 25, 2016. Anyone with information on his whereabouts is asked to call 631-854-8652 or call 911. Centereach, NY - April 26, 2016 - The Suffolk County Police Department has issued a Silver Alert for a missing elderly man from Centereach. Reynaldo Macadaeg, 77, was last at home on Strathmore Village Drive in Centereach on April 25 at approximately 3:00 p.m. when he told his wife that he wanted to go to the Philippines. Macadaeg, who suffers from Alzheimer’s disease and has heart problems, is described as a Filipino male, 5 feet 4 inches tall, approximately 160 pounds with brown eyes and thinning white hair. He was last seen wearing navy blue slacks, a dark blue coat and black shoes. He did not bring any medication with him. Anyone with information on Macadaeg’s whereabouts is asked to call the Sixth Squad at 631-854-8652 or call 911. Subject: LongIsland.com - Your Name sent you Article details of "Silver Alert Issued for Centereach Senior Suffering from Alzheimer's Disease, with Heart Problems"